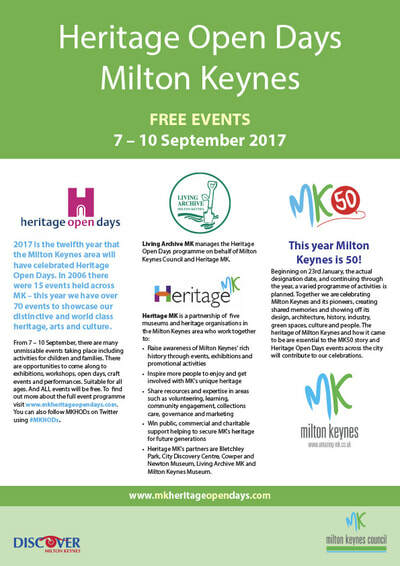 The past will come to life in more than 70 free Heritage Open Days events from 7th and 10th September, part of Milton Keynes’ 50th anniversary celebrations. 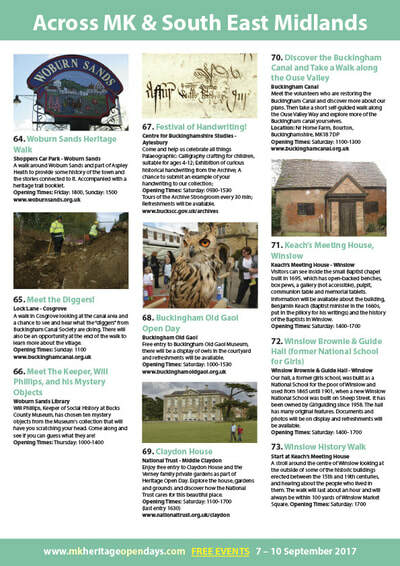 Admission will be free at key attractions including Milton Keynes Museum, Bletchley Park (200 free tickets per day), Cowper and Newton Museum in Olney, Buckingham’s Old Gaol Museum, Claydon House and Chandos Hall Museum in Newport Pagnell. 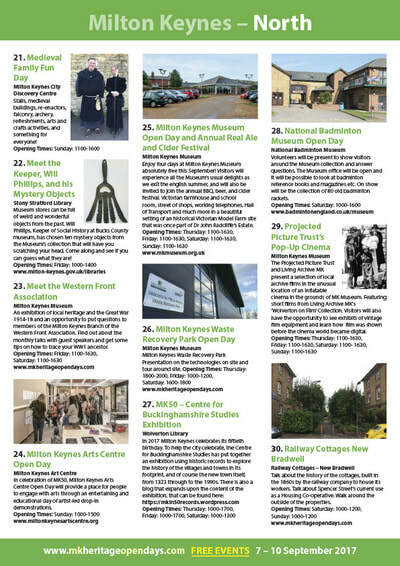 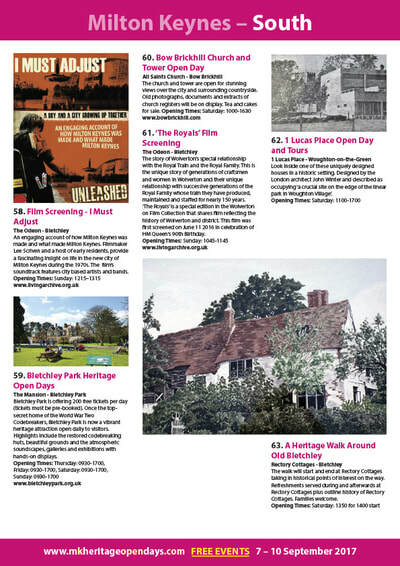 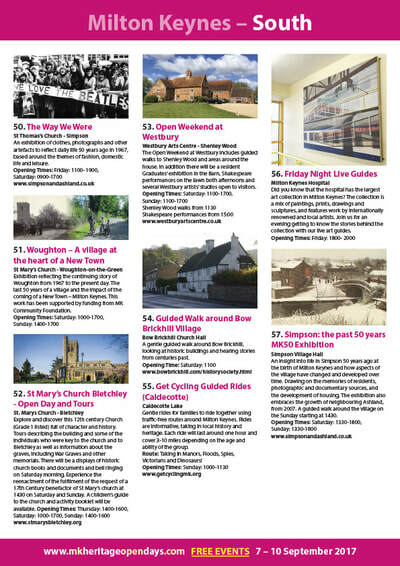 And a host of other local venues, historic sites and churches will be opening their doors with hands-on activities, performances, archive film screenings and guided tours exploring many different facets of Milton Keynes’ rich heritage. 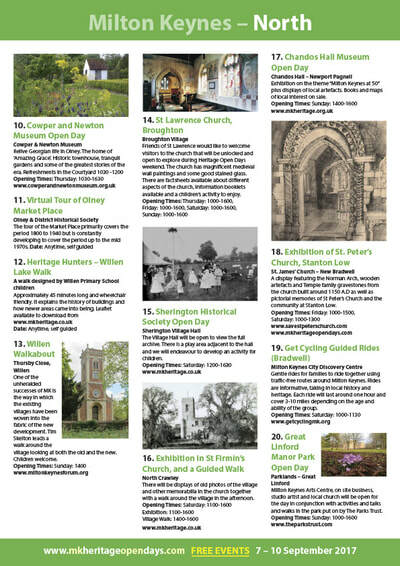 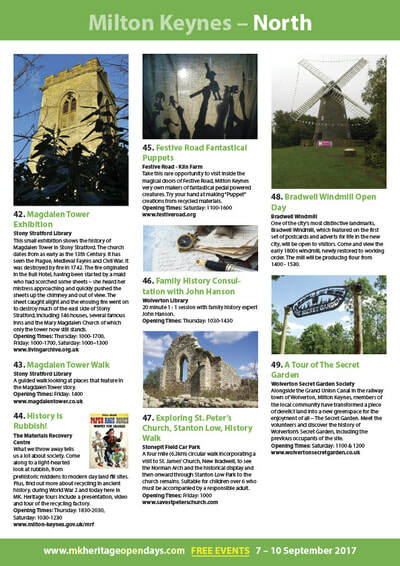 You can also follow Milton Keynes Heritage Open Days on Twitter using #MKHODs. 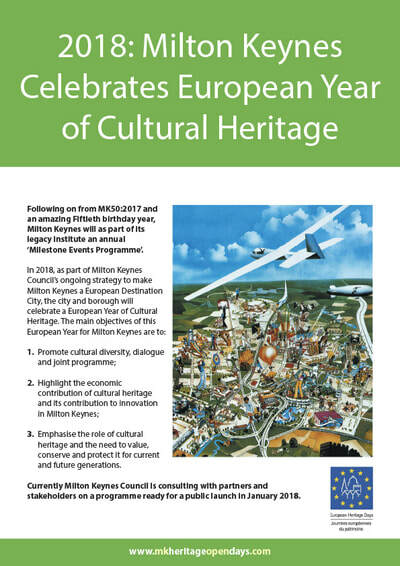 As part of the national event across the country, MK Heritage Open Days is organised by Living Archive with support from Milton Keynes Council, MK Heritage Association and other partners, and is an annual celebration of the city’s heritage, art and culture. 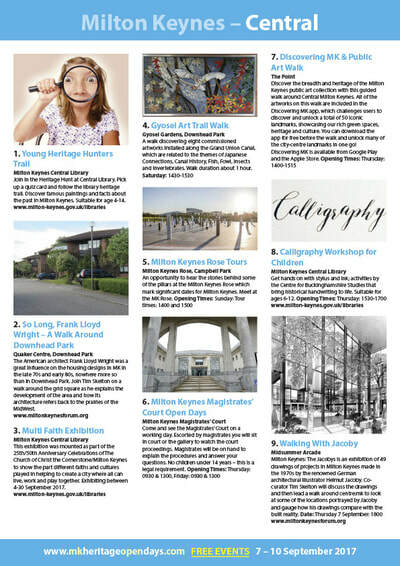 ​Click here to download our brochure.